As part of grandson Grant's baptism on Christmas Eve was a celebration of the Eucharist, also known as the Lord's Supper, and as Holy Communion, or simply the Mass. 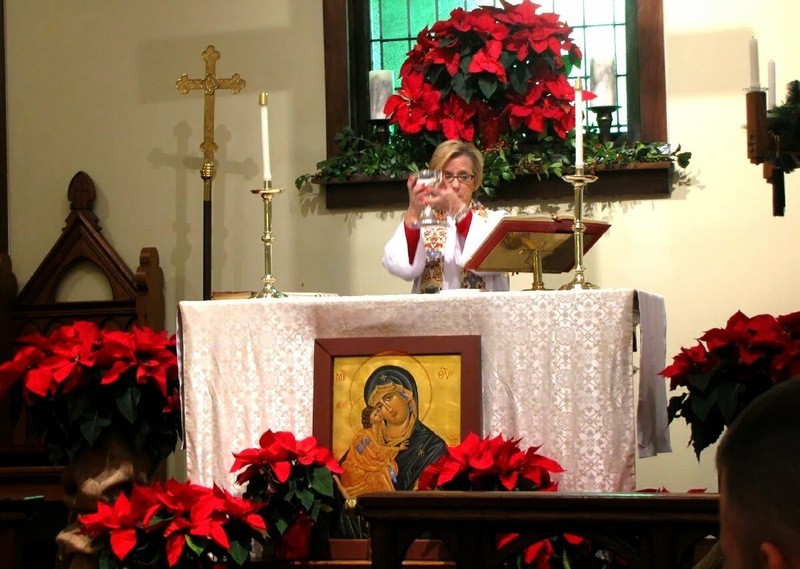 In the Episcopal Church poinsettias are often used in lieu of flowers at Christmas. Very nice - love the poinsettias. I wonder if poinsettias are used the world over at Christmas time? I had assumed they were a British custom but I was, equally, obviously wrong.